Ratgrave - Ratgrave. Vinyl LP. Bleep. 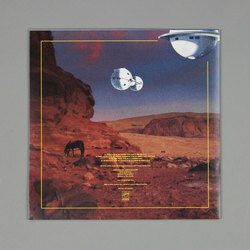 Some electronic strangeness from Apron Records (Hanna, AshTreJinkins) here. Max Graef and Julius Conrad, the duo behind Ratgrave, clearly approach what they do with a good sense of fun. If that wasn’t apparent from some of the track titles on their eponymous debut LP - ‘Big Sausage Pizza’, ‘Ubi Hubi’ and ‘El Schnorro’ are the front-runners here - then the wacky sounds within make it plain for all to see. 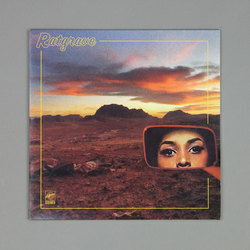 Ratgrave’s style is largely based on bossanova and P-funk with the occasional bit of cosmic zaniness thrown in for good measure. The playfulness is reminiscent of Todd Terje’s It’s Album Time. All in all Ratgrave is an easy album to get on board with.